REDMOND, Wash., Aerojet Rocketdyne recently completed delivery of all of the crew module engines for Boeing's Crew Space Transportation (CST)-100 Starliner spacecraft. 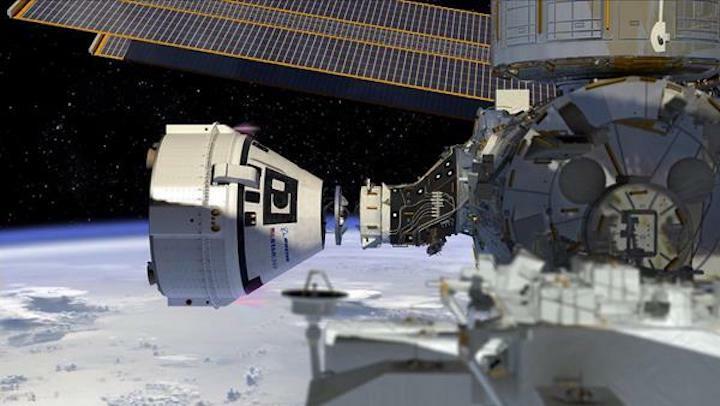 Boeing will integrate the engines into the Starliner crew module at its Commercial Crew and Cargo Processing Facility at NASA's Kennedy Space Center in Florida. The Starliner crew module is designed to transport up to seven passengers or a mix of crew and cargo for missions to low-Earth orbit destinations. Developed in partnership with NASA's Commercial Crew Program, the Starliner will carry up to four astronauts to and from the International Space Station for NASA missions. Each capsule is designed to be used up to 10 times and features 12 Aerojet Rocketdyne MR-104J engines to properly orient the spacecraft during atmospheric re-entry. "Astronaut safety is paramount at Aerojet Rocketdyne, which is why we are providing a reliable propulsion system for the Starliner crew module to ensure a safe re-entry for all of Starliner's passengers," said Aerojet Rocketdyne CEO and President Eileen Drake. Each MR-104J engine produces more than 100 pounds of thrust and draws on a legacy dating back to NASA's Voyager probes, which have traveled farther in space than any other human-made objects. Key to the reusability of CST-100 Starliner crew module engines is a patent-pending design approach that strengthens the engine to withstand extreme operating temperatures without significantly increasing its weight. The total weight of the delivered flight engines met the Boeing requirement with more than a 12 percent margin. In addition to the crew module engines, Aerojet Rocketdyne is providing launch abort engines, service module reaction control thrusters, and service module orbital maneuvering and attitude control engines for the Starliner program.